Posted by Kendra Hudson on Thursday, April 11th, 2019 at 3:45pm. YOU'RE INVITED! Come out this Sunday, April 14th, anytime from 12 - 2 pm to check out this phenomenal home in the Southside area! 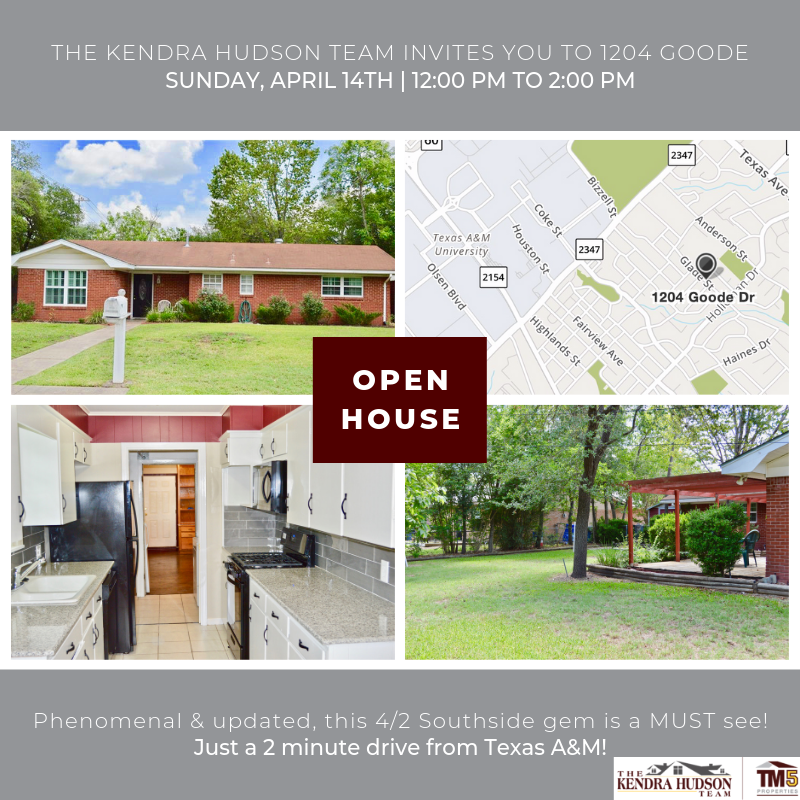 Just a two minute drive from Texas A&M at 1204 Goode, Alexis Knox - Realtor at TM5 Properties will be holding the house open, so go by and take a peek! You won't want to miss out on this great opportunity! !